In addition to connecting authors and publishers with voice talent and studio pros, ACX offers those with completed audiobooks a pathway to distribution through the top audiobook retailers, Audible, Amazon, and iTunes. This “DIY” workflow is a popular choice for authors who want to voice and even produce their own work. 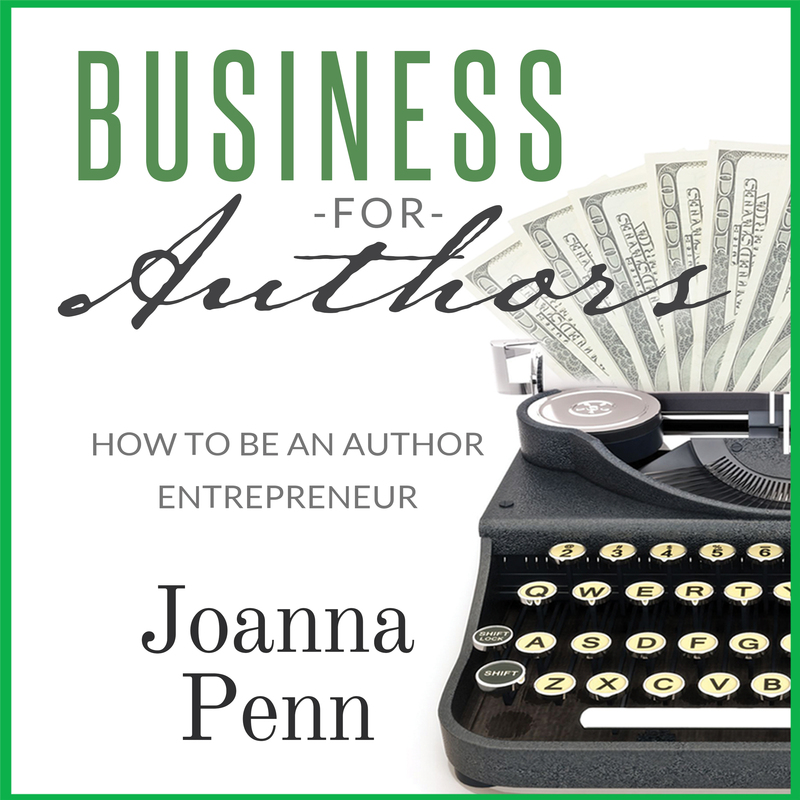 Author Joanna Penn recently completed the process herself, and she joins us today to share her experience recording Business for Authors: How to be an Author Entrepreneur (out today) for ACX. Audiobooks are a fantastic growth market for authors, narrators, and producers alike, and I’ve been working with fabulous narrators for my fiction since ACX opened up in the UK in 2014. But as a listener, I prefer non-fiction audio in the voice of the author themselves, so I decided to record one of my own books, Business for Authors: How to be an Author Entrepreneur. There are specific technical requirements one must adhere to when publishing an audiobook on ACX, so that the listener has the best experience possible. You can reach this level of quality by recording in your own home, but only if you can get rid of the various noises that may pollute the audio, which you may not even hear anymore. I’m a podcaster so I’m used to recording and editing audio, but when I listened to the sounds of my flat, I could hear planes overhead, cars going past, the rattle of someone in the garden, and the occasional yapping of a dog outside. Instead, I hired professional audio producer (and musician) Andy Marlow (pictured), who has a great little studio just a bus ride away from me in South London. We worked in two-hour slots and Andy made sure that the quality of the initial audio was excellent, and he mastered the file to produce my retail-ready audio for upload to ACX. It’s surprising how tiring recording audio can be. I was exhausted after each two-hour session, because it was essentially a performance. You have to put energy and expression into what you’re saying. And in a professional studio you might be shut into a small, padded box, which takes some getting used to! Here are my tips to manage yourself during the audio process. Schedule sessions a few days apart if you’re new at recording to ensure you have enough energy. People can hear exhaustion in your voice, so respect your audience and make sure you’re at full strength when starting, and stop before your voice begins to drop. It took 7 sessions of 2 hours each to get to a finished audiobook of 6.5 hours, a ratio of about 2:1. Try to avoid dairy before recording or anything that might give you excess phlegm or clog your throat. Try cleaning your teeth and create a routine so that you know your voice will be ready for speaking. If you’re ill or your voice is affected in any way, you’ll need to postpone, as audiobook listeners will be able to hear the difference. 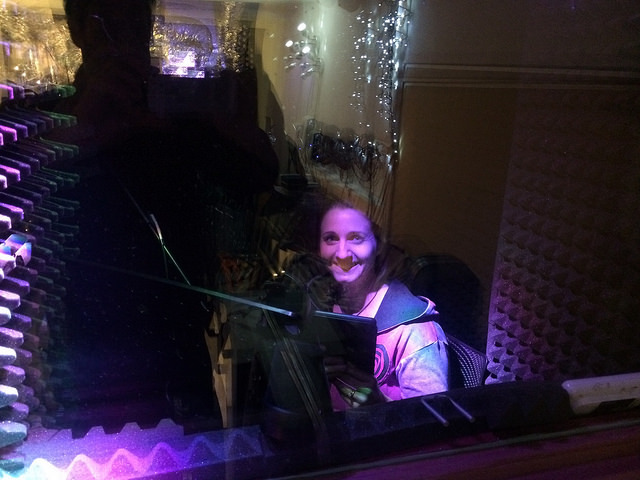 Joanna Penn records her audiobook. When you’re recording, try to modulate your breathing so you don’t end up holding your breath. I found that I needed to stop sometimes for deep breathing during longer chapters. I would consider a voice coach for help with this if I was recording more often, as it definitely affected my stamina. Professional actors and voice artists can record for a much longer period, as they have mastered this. You’ll want to read from a Kindle or other tablet so you don’t encounter page-turning noises while recording. Remember to turn off any WiFi connection on the devices and set to airplane mode as they can make a static noise on the audio, even if you can’t hear it when recording. You can pay a producer to edit the audio files as well as record and master them, but this will make your cost per book higher, meaning less profit for the project. Since I already edit audio for my podcast and I had high-quality raw audio files, I decided to do the edits myself. 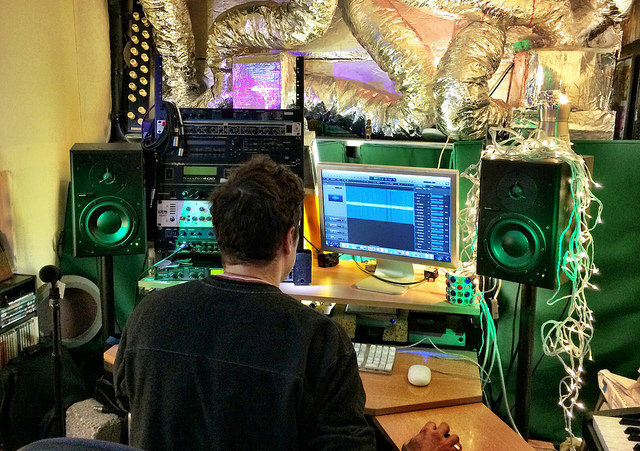 You can use free editing software like Audacity to produce professional-sounding audio. 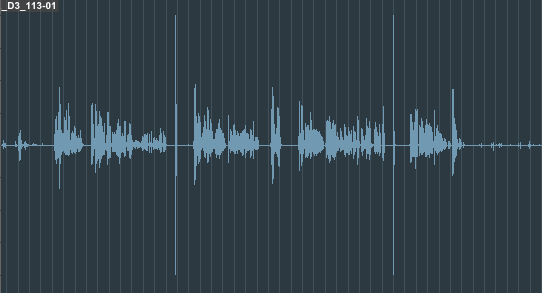 If you make a mistake when recording, clap your hands so you create an obvious spike on the audio file that you can use to find the error later (pictured). Your error rate will increase as you become more tired, so make sure that you take breaks. I found that 40 minutes was the maximum time I could spend reading “in the box” before I needed a break. The ACX technical requirements require you to add a few seconds of room tone at the beginning and end of the file. We recorded this separately, in the silence of the empty vocal booth. I then just used the pre-cut segments to begin and end each file, which made the process quick and easy. After editing, there needs to be a full QC listen to the audio to ensure all the edits are done properly and the audio matches the book. Since I was truly sick of hearing my own voice by this stage, I employed my Virtual Assistant to do this step for me. Most of the files were fine, but there were a couple of instances where I had repeated myself without editing the error, so this QC step is crucial to avoid issues later. High-quality audio files are very large, and because you’ll be sending them back and forth, you can’t use email for this. They will also fill up your computer memory really fast. I used Dropbox to send the edited files to my Virtual Assistant and the final files to the producer. For more recording and editing tips, I recommend Audiobooks for Indies by Simon Whistler which has a lot of useful information, whether you want to record your own books or work with a narrator. This process has given me a renewed respect for audiobook narrators, because now I know how hard the job is and how many hours go into recording and editing a book. It was much harder work than I expected! However, it was definitely rewarding and I will be recording other non-fiction books in the future. It also gives the entrepreneurial author another product in their business, and if you’d like to learn more about that, check out Business for Authors: How to be an Author Entrepreneur, available now on Audible. Joanna Penn is a New York Times and USA Today bestselling author of thrillers under J.F.Penn. She also writes inspirational non-fiction for authors and is an award-winning creative entrepreneur and international professional speaker. 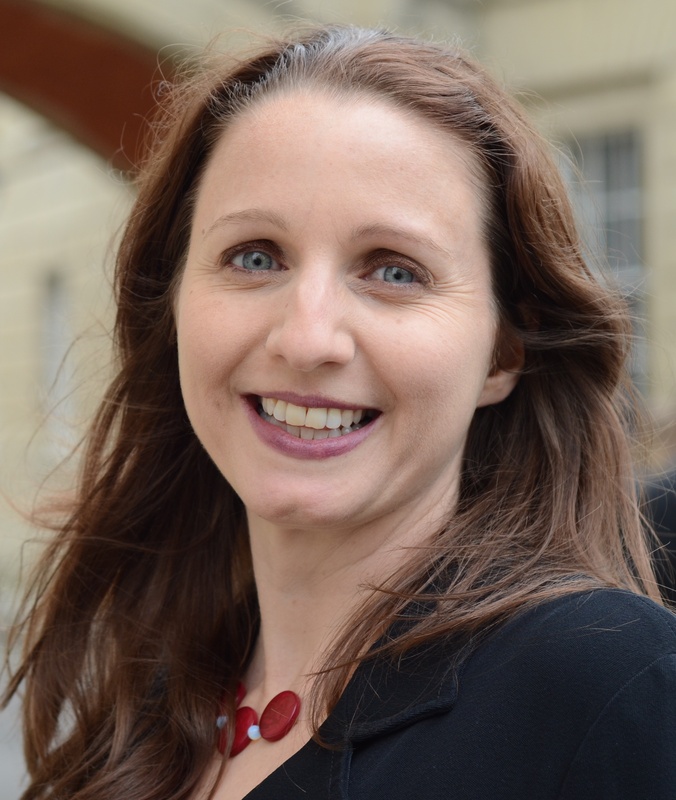 Her site, TheCreativePenn.com is regularly voted one of the top 10 sites for writers and self-publishers. Connect on Twitter @thecreativepenn.